Specialization is Highly Required when it comes to working with NAND & NOR chips and apart from having experience with surface mounted BGA IC™s, detailed knowledge of the PS3’s system is very Important. With over Six Years of Specialized PS3 Repair Experience and our state-of-the-art workshop, you’re in the right hands! 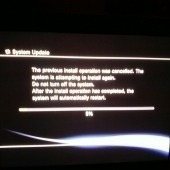 Do you want to Undo a recently made update to your PS3 Console? Downgrade PS3 Firmware 4.40 to 3.55, Downgrade PS3 Firmware 4.31 to 3.55, Downgrade PS3 Firmware 4.30 to 3.55, Downgrade PS3 Firmware 4.25 to 3.55, Downgrade PS3 Firmware 4.22 to 3.55, Downgrade PS3 Firmware 4.21 to 3.55, Downgrade PS3 Firmware 4.20 to 3.55, Downgrade PS3 Firmware 4.20 to 3.55, Downgrade PS3 Firmware 4.11 to 3.55, Downgrade PS3 Firmware 4.10 to 3.55, Downgrade PS3 Firmware 4.00 to 3.55, Downgrade PS3 Firmware 3.73 to 3.55, Downgrade PS3 Firmware 3.72 to 3.55, Downgrade PS3 Firmware 3.70 to 3.55, Downgrade PS3 Firmware 3.66 to 3.55, Downgrade PS3 Firmware 3.65 to 3.55, Downgrade PS3 Firmware 3.61 to 3.55, Downgrade PS3 Firmware 3.60 to 3.55 or Downgrade PS3 Firmware 3.56 to 3.55. Supported SKU Versions; CECHAxx, CECHBxx, CECHCxx, CECHExx, CECHGxx, CECHHxx, CECHJxx, CECHKxx, CECHLxx, CECHMxx, CECH-20xx, CECH-21xx, CECH-25xx datecode OC, CECH-25xx datecode A1. Hardware is interlocked on the PS3, so exchanging a bluray drive board from one unit to another requires remarriage of the components. The NAND firmware chip is located under the main processor chip on the drive board. Like the single BD chips on sale, removing the NAND chip should only be attempted by professionals that have removed surface mounted BGA IC™s before, it™s not something the novice should attempt and even most professionals send the boards to us to have the BGA removed and replaced. For once damaged the Console’s drive becomes Totally Unsalvageable! This Service involves the Replacement of your drive board with a new one and the Migration of your original NAND Firmware Chip to It. Caused when firmware Installation is Interrupted or when media used in installing Firmware is defective. Update loops repeatedly, rebooting the console infinitely in most cases e.g. ADVANCED BRICK types the Console Completely refuses to Boot.